Keeping Up ... with the Joneses: Gaaaaauuuuuuutraaaaaiiiiiiiiiiin! I've been a bit slow with the blogging since I went on leave last week, but have really enjoyed the wife-enforced laziness while in smoke-infested thin-air Joburg. 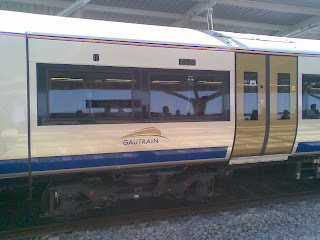 One of the great adventures has been to go for a ride on the Gautrain. For those who don't know what this is (where have you been? 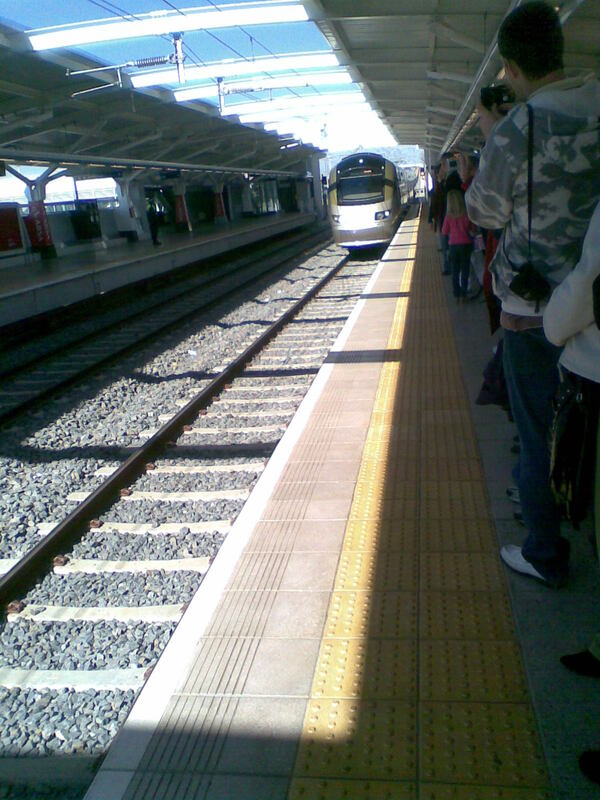 ), this is the new high-speed rail link between Johannesburg / Sandton, Pretoria, and OR Tambo International Airport. 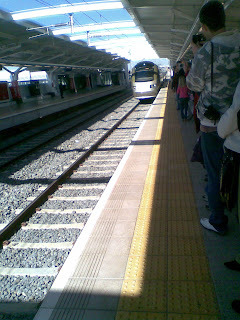 At this stage only the Sandton / airport link is open, but the trip was awesome none the less. 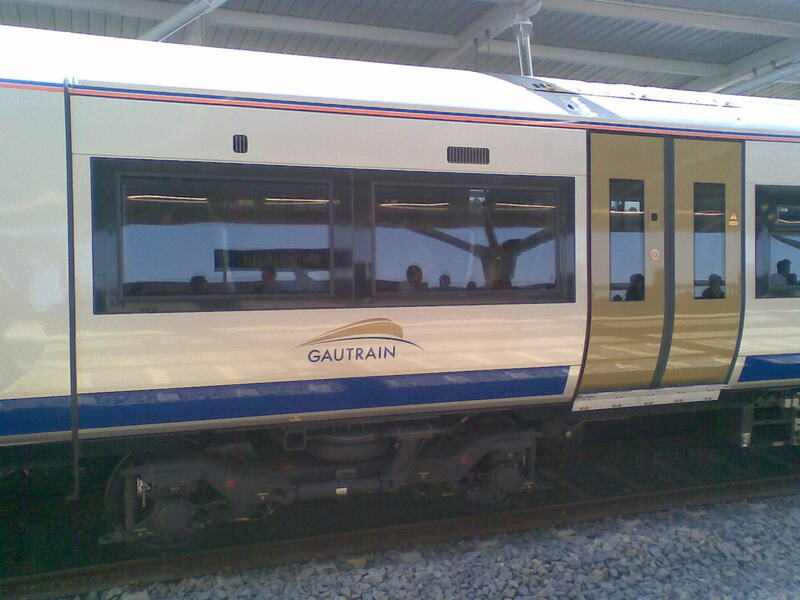 For a mere 21 bucks each (bargain - you can't drive the distance on this amount of petrol), my family and I were whisked along from Kempton Park to Sandton City in air-conditioned comfort at a breathtaking 160km/h, covering the distance in a mere twelve minutes. 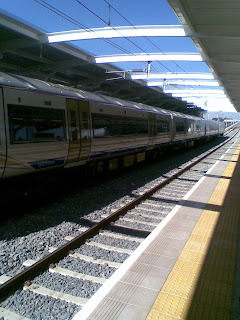 However, what was most impressive was the fact that the parking is secure, the trains are regular and bang on time, and there are plenty of the most helpful and pleasant people on hand to help you every step of the way. If this is the future of public transport in South Africa, it looks very bright indeed! Sandton station. 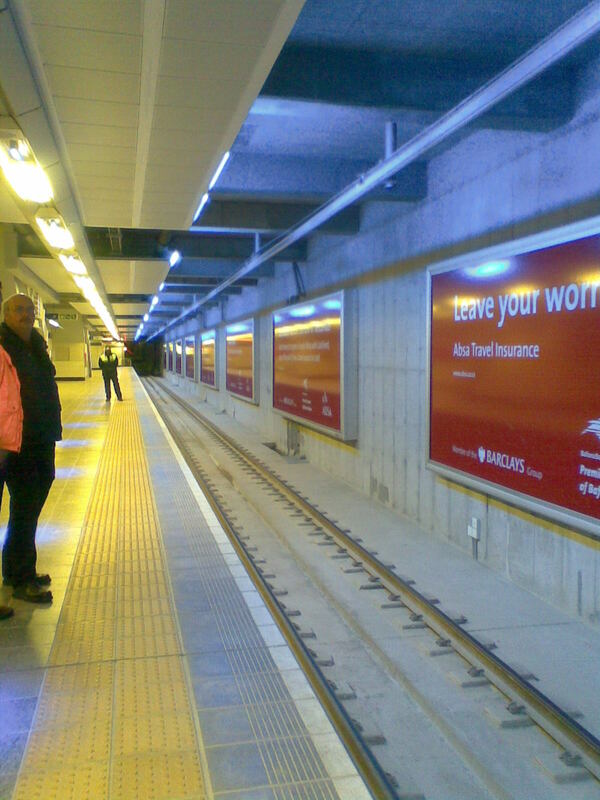 If it wasn't for the Absa ads, one could mistake this for the London Underground.